Animal Wildlife | Sparrow | Sparrows are a group of small sized birds that are found in woodlands and across farmlands all around the world. Today, there are thought to be 140 different species of sparrow spread throughout almost every continent. 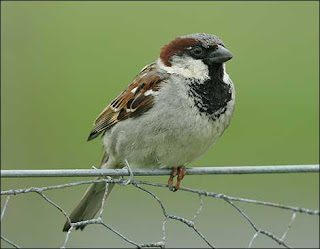 Historically, the true sparrows were found throughout Europe and in parts of Asia and Northern Africa. 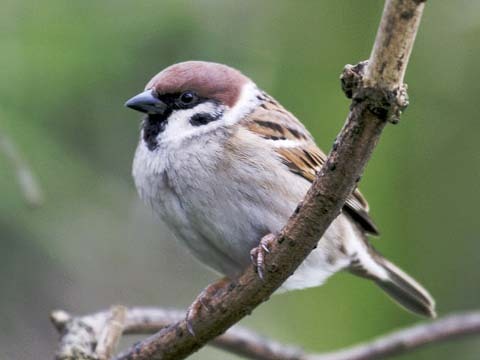 However, human travellers that settled on other continents including Australia and America introduced sparrows to these areas, where they are now considered to be part of the native wildlife. Sparrows are generally small sized birds that can be easily identified by their smoothly rounded heads. 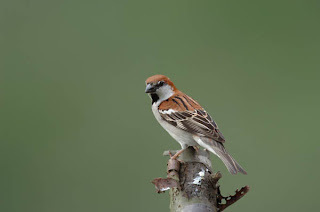 Sparrows range in size from the Chestnut sparrow found in Africa, which is just over 10cm in height, to the Parrot-billed sparrow (also found in Africa) that grows to more than 18cm tall. Sparrows are omnivorous birds that mainly eat seeds and substitute their diet with berries, fruits and small insects. Some sparrow species have also adapted to life in the city where like gulls and pigeons, these plump little birds are known to eat almost anything that they can find. 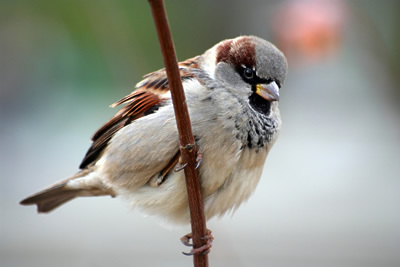 Due to their small size, sparrows are prey to numerous predators within their native environments all around the world. 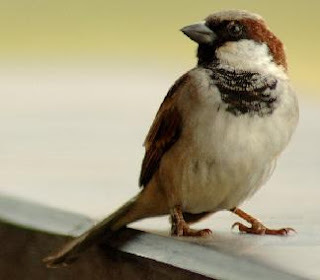 Cats, dogs, snakes, foxes and birds of prey are just a handful of the natural predators of the sparrow in the wild. 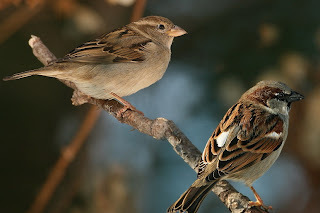 Sparrows breed when the weather begins to warm in the spring, when female sparrows make nests in trees and rafters in which to lay their eggs (an average of 4-5 are laid per clutch). The female sparrow incubates her eggs which hatch in only a couple of weeks, when the vulnerable chicks are cared for until they are strong enough to fledge (leave the nest).